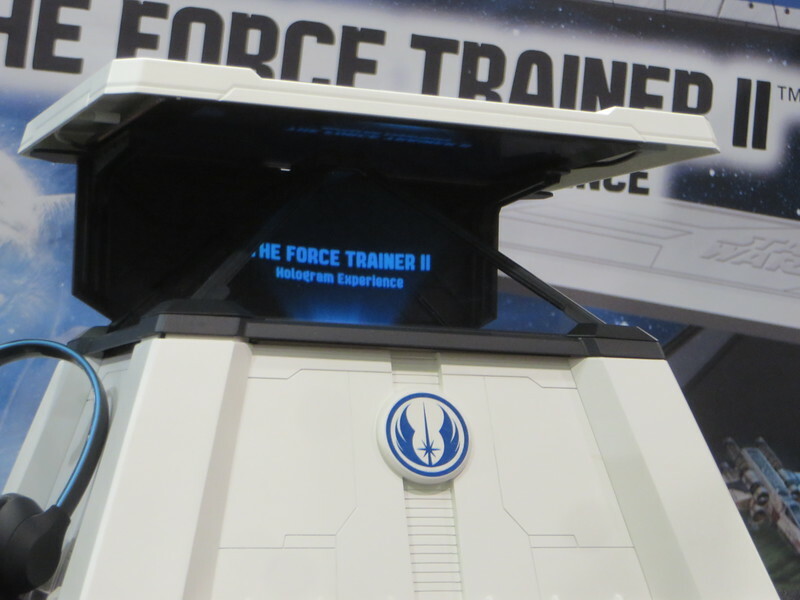 Tons of toys were on display during Star Wars Celebration but we were clued in on one that caught our attention: The Force Trainer II Hologram Experience. 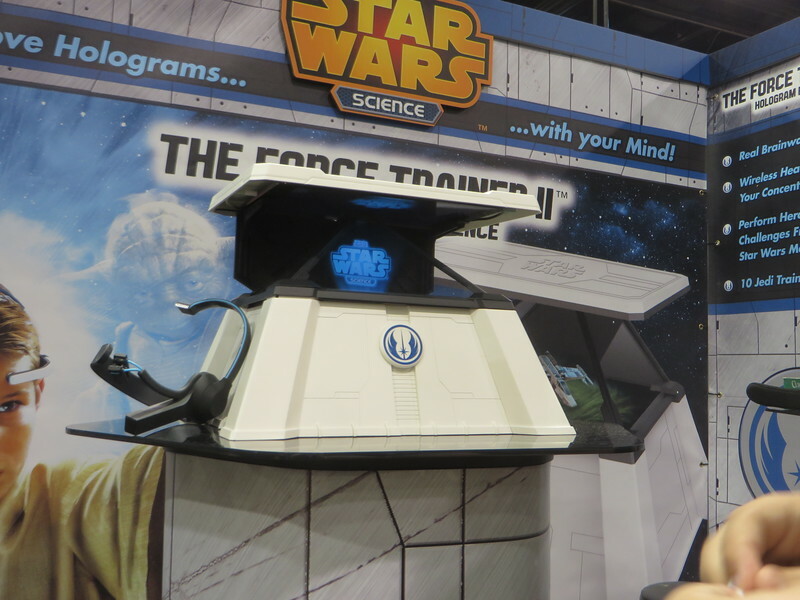 This toy from Star Wars Science and Uncle Milton, actually harnesses your brain waves to simulate the feelings of the Force. With Yoda as your guide, you earn your keep from inexperienced Padawan to Jedi Master. How exactly does this work? To be honest, we're not entirely certain and we suspect that the actual science behind it is very technical and perhaps not all that interesting. 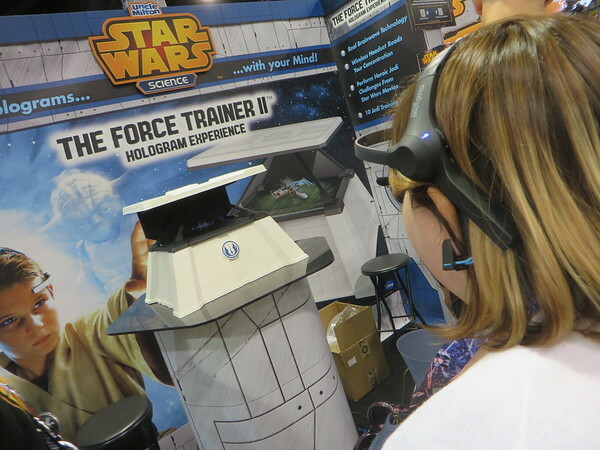 So from game player's perspective... you're using the Force to change things with your mind! CRAZY! The basic set-up is relatively simple. 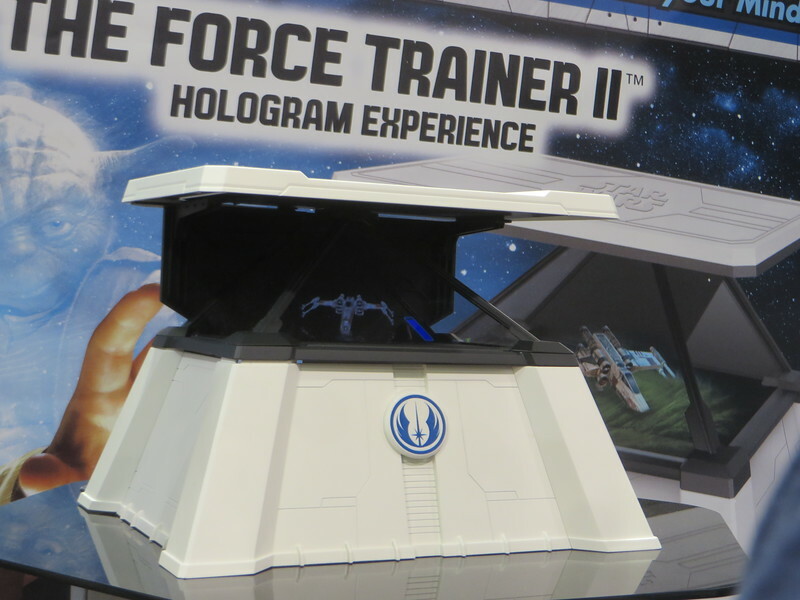 You get the hologram base and headset but you need two things to make it work.... a tablet (Android/iOS unit will do) which goes IN to the hologram base and then you need the game app from which the experience initiates. The hologram is a bit of a cheat but a super clever one none the less. The effect is in essence the same as Pepper's Ghost effect that is used at Disneyland's Haunted Mansion. Your tablet sits face down at the top of the base and reflects down into the glass Hologram pyramid below it. It's quite a convincing effect. It's amazing how technically low-tech the hologram component of this actually is! 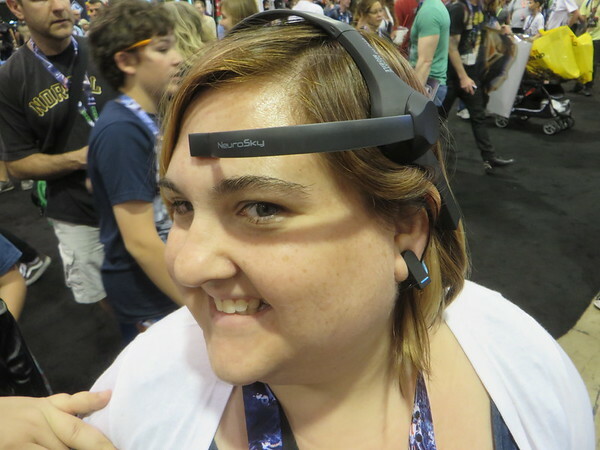 The headset that comes with the game includes two receptors, one that goes in the middle of your forehead and one on your earlobe. 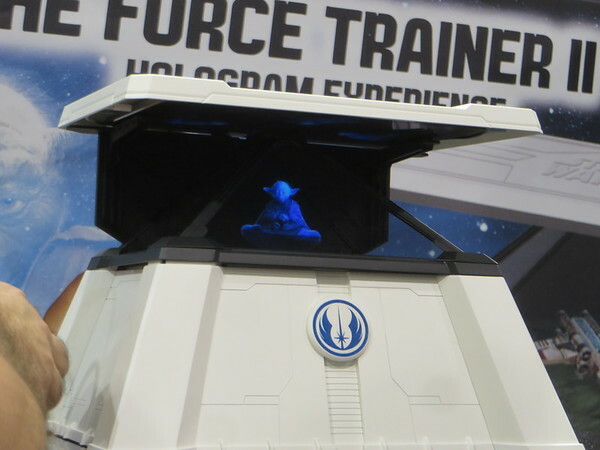 From there, the myseries of the Force takeover and you're instructed by Yoda through several challenges that require you to maintain concentrated focus to achieve results. Exactly how you focus to complete the tasks really does vary between users. When I got on there I seemed to be channeling the Force quite strongly as I was able to lift the X-wing within a matter of seconds and then taking out the Battle Droids was almost a matter of winking an eye-lash. For Becca, however, the challenge was not quite so simple. She sturggled to raise the X-wing fully out of the water and after several attempts she was finally able to raise it from the water. Skilled in the ways of the Force she is not! Sure, you might look like Lobot from the Cloud City, but it's worth it! As part of our playtest we were able begin just as Luke did on Dagobah by raising an X-wing from a swampy marsh and then use the Force further to knock over a mini squadron of battle droids. The full game isn't ready for play just yet but from what we did see it did leave us interested to learn more in the ways of the Force. 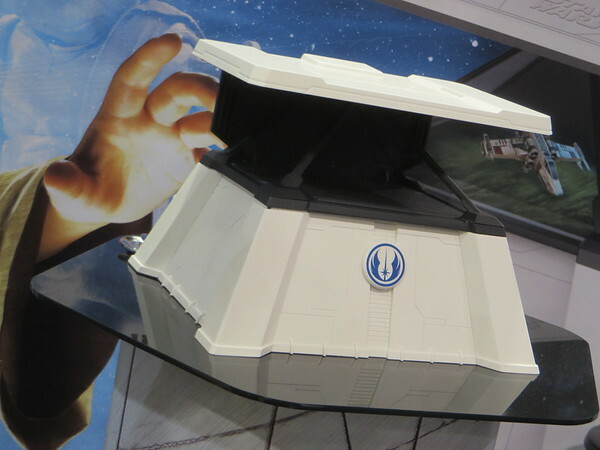 When the toy releases this fall, it is expected to retail for $119. Find out more at Star Wars Science.